In a startup like Hubstaff, there are thousands of things that need to be done and thousands more after that. Part of the battle of running a successful business is spending your valuable, limited time on the right things. We use the Theory of Constraints to evaluate where Hubstaff should be focusing the most time and energy to reach our goals. The Theory of Constraints is a systematic management process that seeks to align all tasks towards goals, eventually compounding to successfully achieve a major goal. This can only be achieved with an understanding of current problems and how to resolve them. The first thing to do is establish your goals. Goals are the easiest part; they are what you want to achieve. Once you have your business goals, you can begin to determine what tasks you need to accomplish to reach your goals. 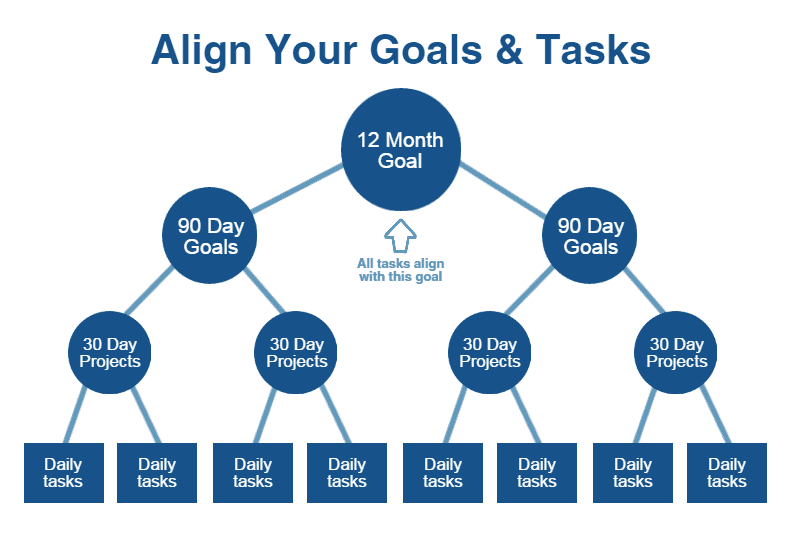 As shown in the graphic below, each of your tasks must be directly correlated to your goals. The key to mastering this process is to identify and complete the tasks that align with your major goal. Below is a quick guide on how to identify the correct tasks to focus on, which will help you accomplish your end goal. The traditional application of the Theory of Constraints is for factories and businesses that have complex dependencies, but a simplified version can easily be applied to startups and regular businesses. You can spend hundreds of hours on the Theory of Constraints for almost any area of your business. I learned the most about it from Rich Schefren’s Guided Profit System. He’s a great teacher and someone that I really respect. If you are reading this, you probably have thousands of things on your agenda so I’m going to show you the short and sweet version to give you a good foundation to get started on. 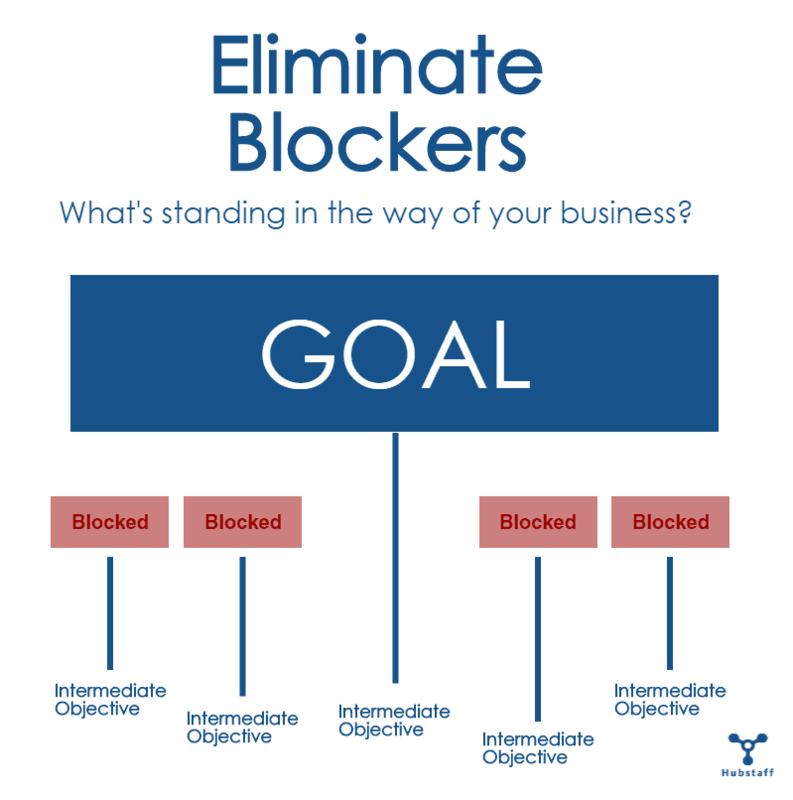 The main idea is to identify “blockers” in your business and kill them. If you can do this, then you can increase the throughput of your business and reduce all the excuses associated with not reaching your goal. Correctly identifying blockers is challenging. I’m going to take you through a quick 10 minute exercise that I do to identify blockers, and then we’ll build a plan of action to kill them. By the end of this article, you should have much more clarity about what blockers you should be working on in your business. There’s a lot of advice out there for goal setting, so I’m just going to touch on a few points. This goal can apply to anything. Your goal can be to hire a team of 7 superstars, get more leads, bring in more revenue, get more customers, lower stress, or anything else that will result in business success. You need to live, breath and believe your goals. I believe in manifestation. This refers to seeing something as true, so your subconscious drives you to do what you need to in order to make it true. For example, if you believe you’re an entrepreneur, you will act like one, and eventually become one. But don’t forget; you must be able to accurately visualize the goal. Your organization needs to revisit the goal regularly, whether it’s monthly, daily or hourly. You need to be tied to it, and put everything behind it. If the tasks that your team is working on are not directly tied to achieving a goal, then drop those tasks (more on that later). You need to put your full time and efforts behind your goal. Achievable = Not like some pie in the sky type goal. Be a realist. Desirable = You’ve got to really want this goal deep in your soul. Believable = You must have the confidence that you can and will get there. List out all the obstacles that are currently preventing you from reaching your goal. This is like a brainstorming session. Although it’s easy to get caught up and carried away in this step, you should just be listing things out. It only took me a few minutes to come up with the obstacles in the map below. These are the things that are top of mind and blocking you from reaching your goal. 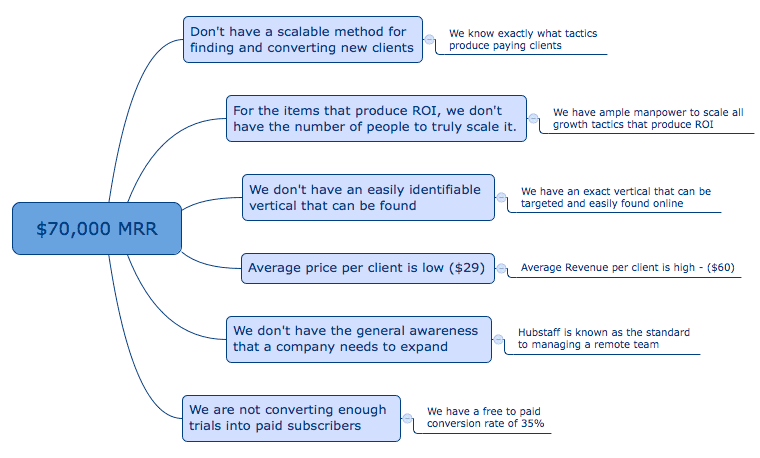 The obstacles above are broad strokes blocking Hubstaff from hitting our goal of $70,000 MRR. Let’s look closer at one of the blockers I listed above. We are not converting enough trials into paying subscribers. Right now we convert approximately 20 percent, which is pretty good, but we can do a lot better. Now, take each of your obstacles and reverse them into their ideal counterparts. These positive statements then become your intermediate objectives. I consider them as 90 day goals. It takes a little longer to reach these, so give yourself some time. Now we’re getting somewhere. The map will begin to clarify which areas you need to work on. Read these positive statements out loud, and you can see what needs attention in your business. But we’re not done yet. Let’s dig deeper. This is where the majority of work will be. It will also be where the majority of discovery and benefit is. In this step, we start to hammer out all the possibilities to solve the problem. Did you notice how this process naturally drags out the answers? These become your 30 day projects. In this step, write down all the things that need to happen to accomplish each project. Consider these the action items that you’ll be working on day-to-day. There’s a chance that you’ll end up with too many tasks in this step, and that’s okay. It’s valuable to have these steps documented so you can revisit them later. Prioritize your list and make sure the most important tasks get finished. At this point, we put our tasks into Trello and assign them out. Learn more about how we use Trello. We create mindmaps and flowcharts to help us organize content and strategy. There are several tools that can help you build relationships and flows. I use mindmapping tools for Theory of Constraints strategy and then flowcharts for documentation to my team. Xmind – The maps in this post were designed using Xmind. This software is free and has most of the mindmapping tools we need. Mindjet – This is the best mindmapping software I’ve found, but it’s expensive. I purchased it a few years ago for Windows, but was told I would have to re-purchase when I switched to a Mac. I said no thanks. Google draw – This is a free web-based flowcharting program. 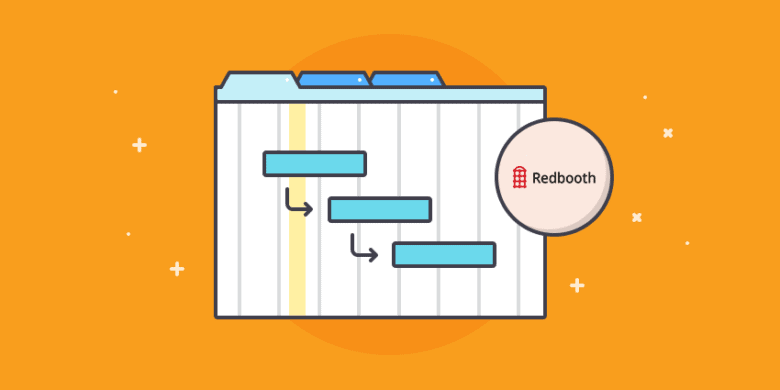 It has less support than Google Docs and Sheets, but should accomplish your flowcharting needs. Smartdraw – This is a desktop-based program, and a good tool for more complex flowcharts. Thanks to this process, we learned exactly what we needed to focus on to reach our goals at Hubstaff. When priorities change, we can also revisit our mindmaps to determine how it should affect our tasks. 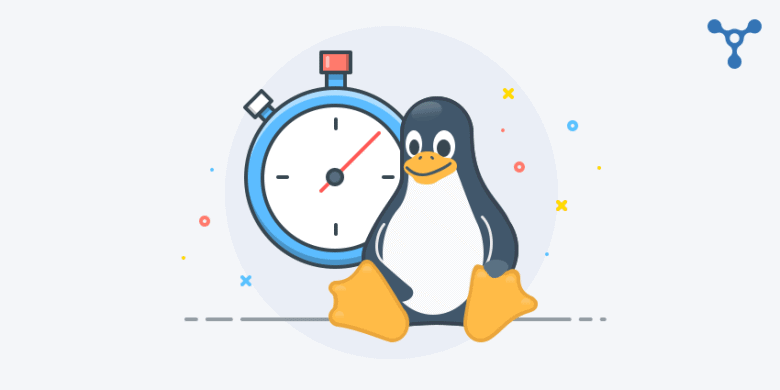 This process helps confirm that our daily tasks are perfectly aligned with our business goals, and that alignment is key for our sanity when things are moving a million miles an hour. We have more peace of mind because we are confident that we have the “what” figured out, which is more than half the battle. Execution is sometimes the easy part. This process has also helped us communicate our goals to the whole company. Everyone knows exactly what the end goal is.